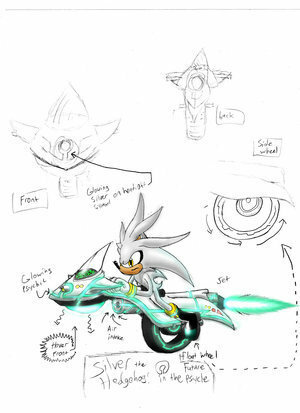 Silver's hoverbike. . Wallpaper and background images in the Silver the Hedgehog club tagged: silver hedgehog hoverbike. I wonder what would happen if it were made of bubble wrap. Hell yeah so much cooler than my hover board.